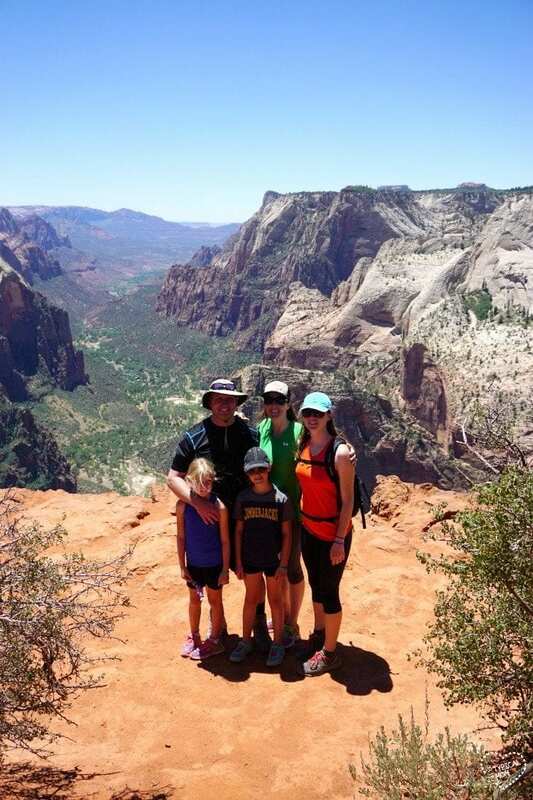 Why we absolutely love Zion Ponderosa Ranch Resort in Utah! This is a great family vacation destination that we have been to twice because we love it so much. Lots of activities, hiking, zip lining and breakfast is included when you stay in their log cabins. Amazing hidden gem outside Zion National Park. And much more on their beautiful grounds! ** DO NOT Wait to book your stay for this Spring Break or Summer as they book to full capacity Quickly!! 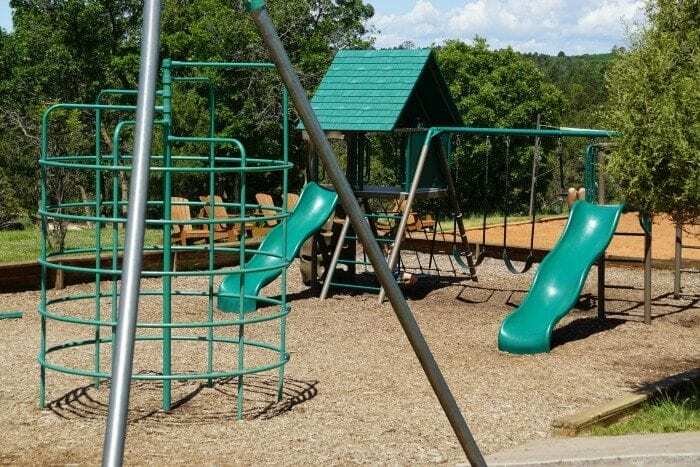 The rest of our trip to Zion Ponderosa Resort were spent right there on site enjoying all the activities they have to offer!! 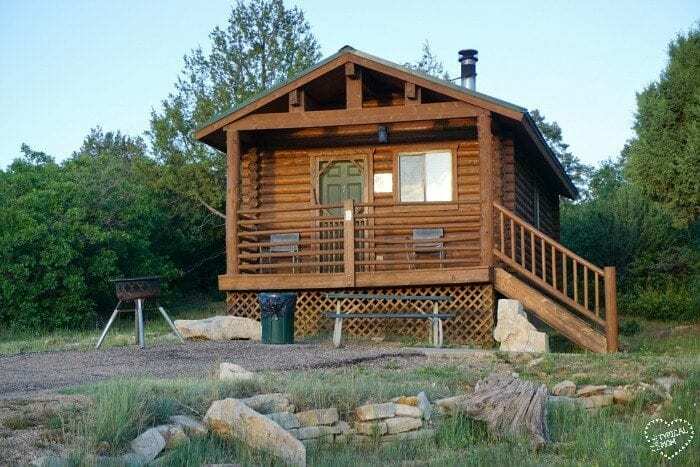 It is so centrally located that you can visit multiple National Parks during your stay, and they offer large cabins that fit multiple families so it’s a great place to have a family reunion and experience it all together! 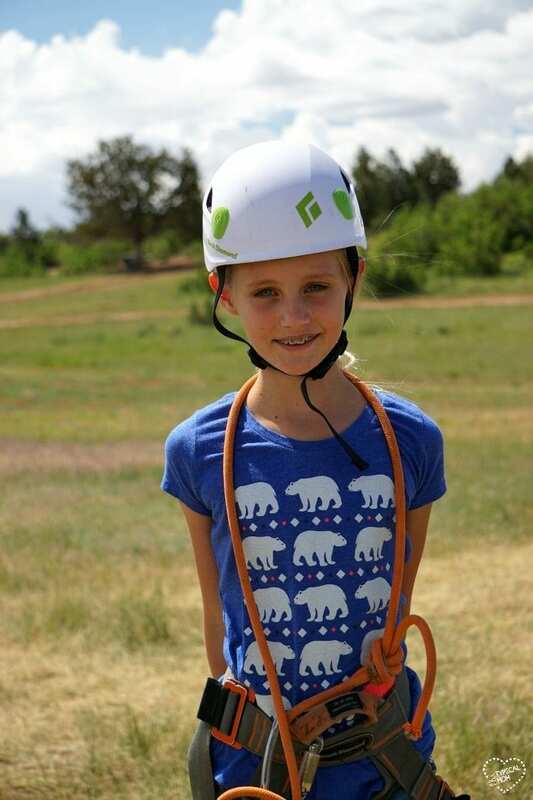 Four years ago all of my girls took a trip down their zipline and when I said we were visiting Zion Ponderosa again that is what they remembered! My littlest one was just 4 back then and she still remembered her trips down the line over and over again….so much fun! Now that they were all a bit older they were able to do all of the activities there like an hour long horseback ride. Another activity they really enjoyed were the mini ATVs. 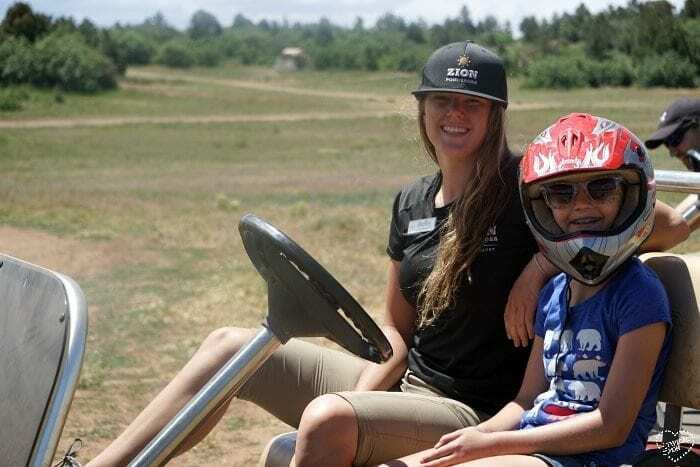 My oldest was able to drive one herself at 16 years old, but they also had these cute golf carts that my younger children were able to actually drive….and since Mom was busy taking pictures a staff member volunteered to ride with my middle daughter. Rock climbing wall was next. So much fun!! 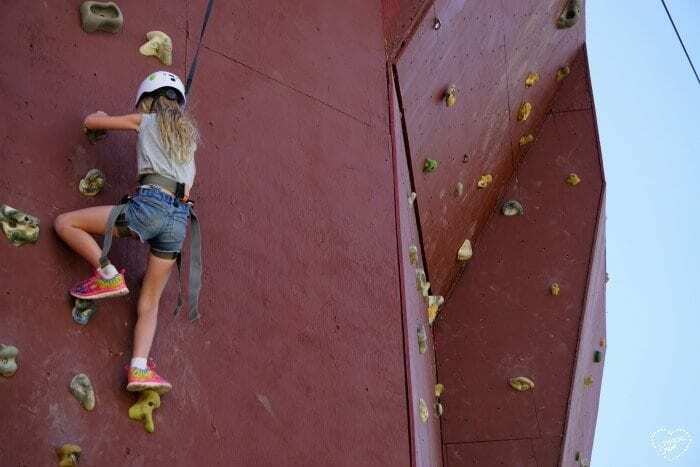 There are tons of activities included in your stay too like a playground, basketball court, volleyball, 2 incredible pools with rock slides (we spent a ton of time there), and they were in the process of building a tennis court too! You know what else is included in your stay in their cabins…….Free breakfast each morning!! This saved us a ton of money and allowed us to fuel up easily in order to start our busy days….loved that perk! Their grounds are so beautiful and expansive, you can see an aerial view here. You can drive down some trails and get to hiking trails that overlook the valley that are just so amazing I can’t even describe how beautiful they are. Here’s a video of their grounds and just some of the activities they offer. This is a peek at the end of our hike to Observation Point. We drove to the beginning of the trail and then hiked the rest of the way. There’s so much to see before you get there but at the end it’s just breathtaking! 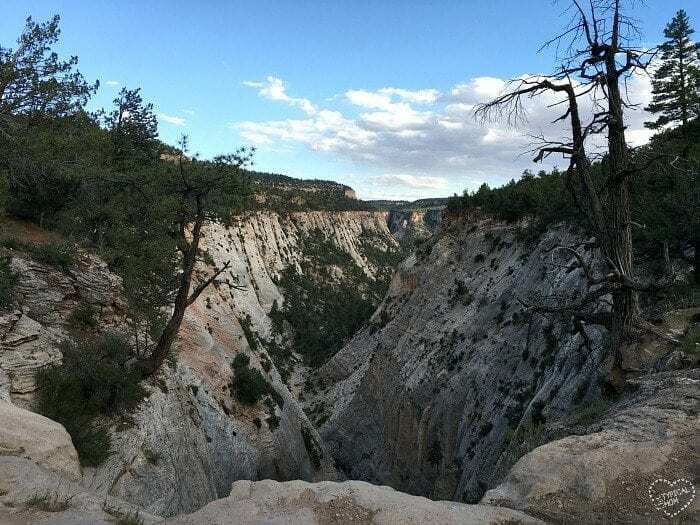 This is just one of many hikes you can take, and the staff at Zion Ponderosa will give you maps to many others. 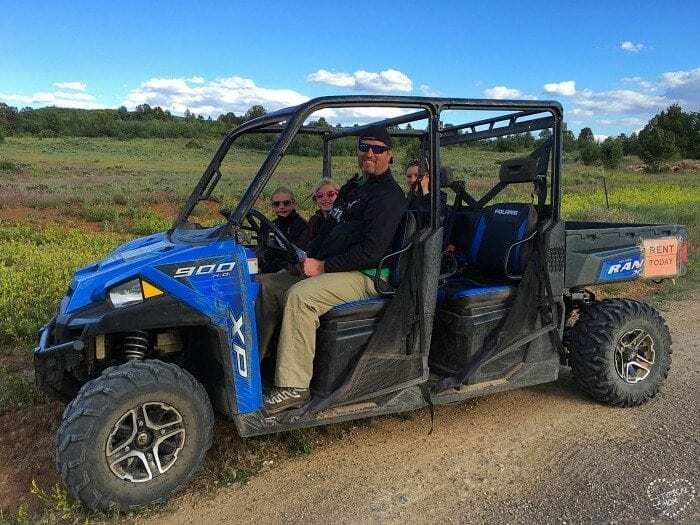 You can explore a lot just out the front door of your cabin, take a guided hiking tour, or you can rent an ATV and explore many other areas an trails around there like Jolley Gulch! 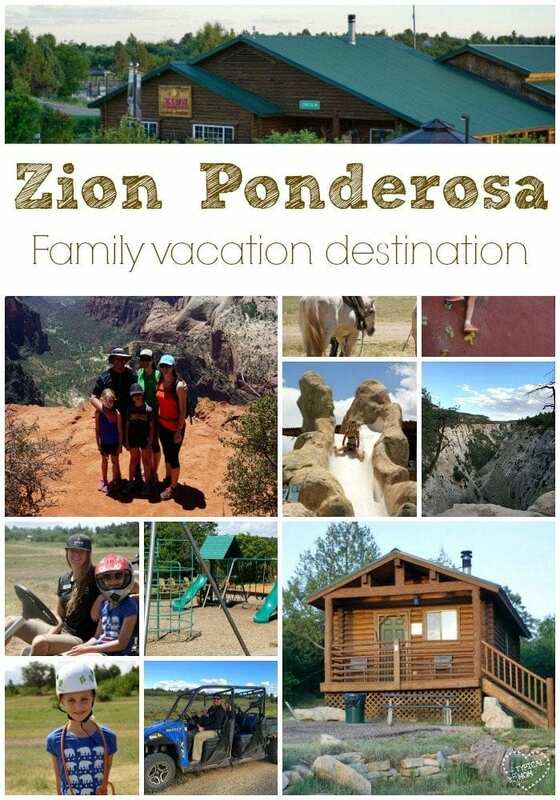 I seriously could go on and on about how much we love Zion Ponderosa Ranch Resort! We have never gone on the same vacation twice until this one. There is just so much to do on site, the location is perfect for visiting multiple National Parks, and there is a lot of hiking you can do. We just couldn’t do it all in one trip, and our second visit was just as wonderful as our first. While we were there they had a really large family reunion there…perfect location for that. 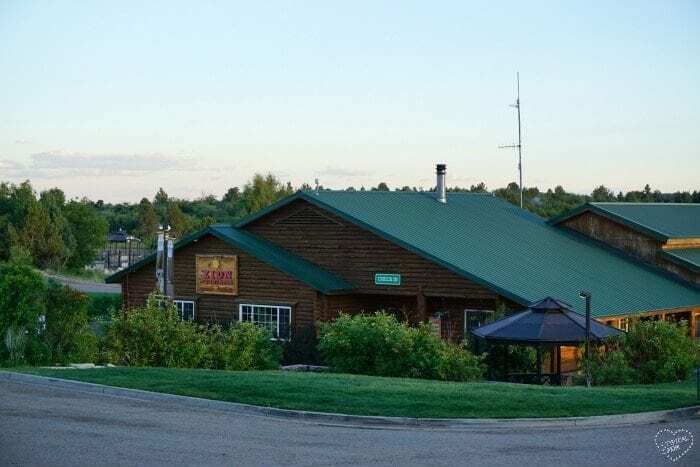 They rented out one of the Moose Lodge just down the road (sleeps up to 34 in one home) so they could all stay together…how awesome is that idea! 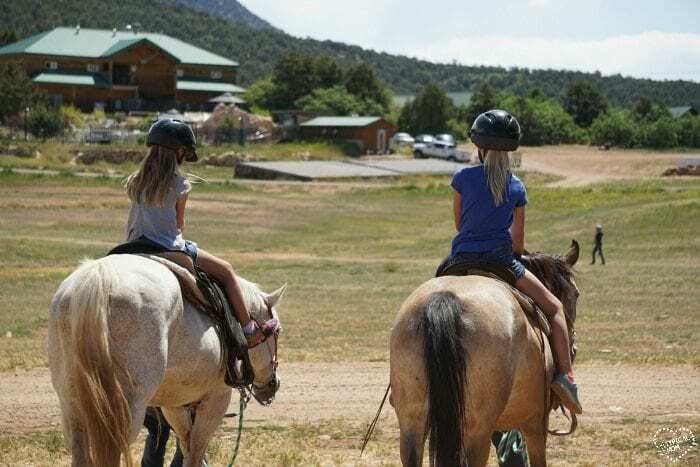 You can make reservations here for your family to stay at Zion Ponderosa Ranch Resort too, it’s one of the best family vacations we’ve ever taken….and tell them you saw it all on The Typical Mom blog! My family and I were just there last week. We stayed in one of their wagons. It was such an incredible experience. Unfortunately, it was raining both nights we were there and had to cancel out third night. There was just nothing to do after 4pm. due to the rain. Swimming was off limits because of the lightening, and there were flash flood warnings which kept us from doing more hiking. Wow this looks like such a great family vacation!!! This looks like a great family vacation. Hopefully we can take the boys one day. This looks like a beautiful place to spend a family vacation! Maybe one day my family can make it out there! Oh wow, this looks like an awesome family vacation!!!! Definitely have to look into this further!! This looks like such a fun family trip. My kids would love it!! I’ve heard nothing but good things about Zion!